Director-writer-actor Spike Lee has had a variable career, but he always tries to be an innovator. 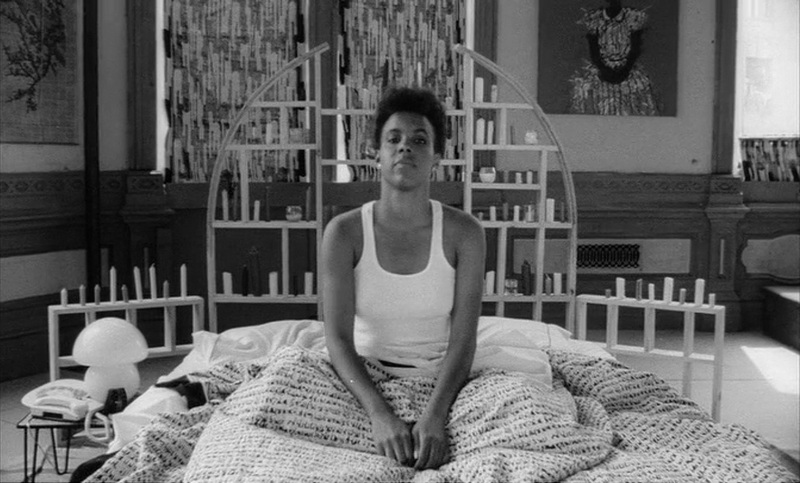 This started with his debut She’s Gotta Have It, a low budget comedy filmed without stars in the director’s native Brooklyn. The film centers on Nola Darling (Tracey Camilla Johns), a bright and sexually liberated young woman juggling three interesting but flawed men (Lee plays the unlikeliest of them). The film is shot in black and white, which gives a nicely stylized feel to the proceedings. There are also lightly experimental moments such as having characters standing in front of a black background addressing the camera. One of the best of these moments has Nola and a suitor attending an outdoor festival in Brooklyn. It’s plain that Lee loves the community, but Nola also seems freer in this stimulating atmosphere than she is anywhere else during the course of the film. The festival is refreshing for the characters and the film. What happened in Dallas’ Dealey Plaza on November 23, 1963? Well, a U.S president got shot to death, but past that who will ever know? Judging by this film, Oliver Stone seems to think that he does. Sidestepping any theories or lack thereof, a lot of wacky things supposedly took place in Dallas, Washington, and several other locales surrounding this moment in time. This skein of known events and suppositions is quite layered. Why should it be any surprise that this film uses many modes to convey this complexity. Included are bits of documentaries, TV coverage, scenes shot in cinema verite style and others which would do a film noir proud. Naturally the films effortlessly moves between color and black and white. One can think what one will of Stone and his politics and his ideas of what lead to the president’s demise, but visually this is a tour-de-force. The western world’s most seen and probably most beloved film (certainly, the biggest of cultural icons) needs no introduction. Anyone who has seen The Wizard of Oz remembers that the opening and closing is in a black and white (actually sepia-toned) Kansas before switching to a wildly colorful Oz. 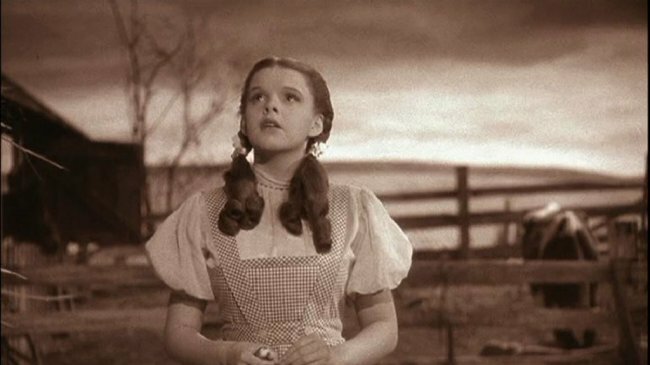 Many wiseackers want to know why Dorothy (Judy Garland) would want to go back to drab Kansas. Well, it’s home and whatever its shortcomings its home and that where she wants to be (in the original books went moved back to Oz and took Aunt Em and Uncle Henry with her, to everyone’s delight). Twentieth Century Fox had obstinately refused to lend its star Shirley Temple out for the film and, suffering from Oz envy, quickly crafted their own rip-off, a version of Maurice Masterlick’s once famous play concerning two siblings quest for the Blue Bird of Happiness. Just as in Oz , the opening is in black and white but then it goes into magical lands. It has its points (and Fox color was so lush) but it ends up showing the artistry of classic film, even in the way it mixes modes. The majority of the films on this list are either basically color with black and white “bookends” or are basically black and white films with color sequences. Plesantville is different. The film starts in color in the present day real world. Somehow, never quite explained, a brother and sister (Toby McGuire and Reese Witherspoon) are transported into the world of a 50’s TV show called Plesantville. Like all TV shows of its time, it is in black and white. However, the people of the town, like all TV characters of that era, live black and white, one dimensional lives. Though the siblings try to keep under the radar, they can’t help but behave as real human beings, which starts to rub off on those they encounter. However, as the characters become more human they start sporting color! This opens the door for prejudice, finger pointing, petty jealousy, and hated but also a greater depth of feeling and far more complexity. Quite often color and black and white exist within the same frame in a way not possible to achieve in earlier cinematic eras. The odd thing is that in the past, black and white was saved for more serious emotions while in this film color denotes greater depth. Plesantville is a delightful comedy which also has something to say and cleverly uses technique to say it. 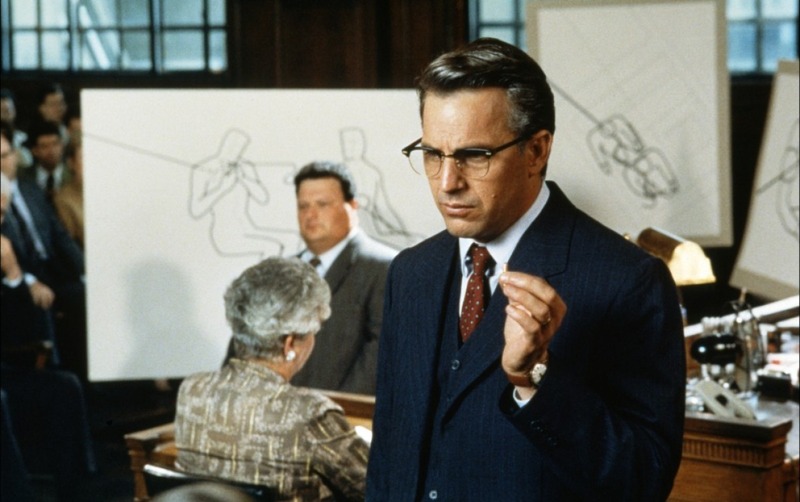 With a filmography including The Godfather films, The Conversation, and Apocalyse Now, the 1970s was a golden decade for director-writer Francis Coppola (though the difficult birth of the last named film tarnished the gold a bit). Afterward things got a bit dicier. However, through good and bad box office and reviews, he was always innovative. In the early 8os, he discovered the works of juvenile oriented author S.E. Hinton. His first adaptation of the author’s work, 1983’s The Outsiders was shot in a grand and romantic style similar to Gone With the Wind. During the later days of that production, he started this film with many of the same cast and crew. The story revolves around two lower class brothers, the older of whom (Mickey Rourke) has taken the wrong turn in life. The younger (Matt Dillon) adores his older sibling and wishes to follow in his footsteps, much to the elder brother”s dismay. Coppola studied German expressionistic films and film noir in crafting this smokily dark black and white film. The one color spot are a school of fish in a pet store window (the fish of the title) which are symbols rife with meaning. 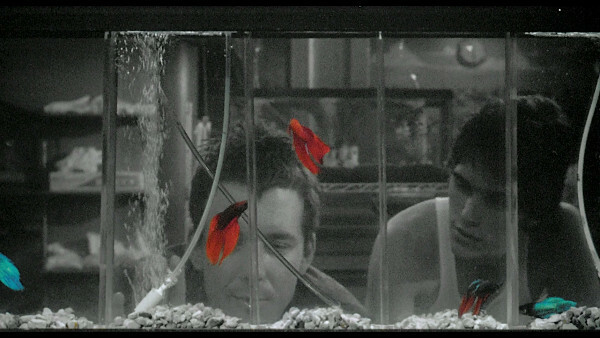 Just like the red coat in Schindler’s List, the fish cast a haunting spell over any viewer of the film. For a film which wasn’t a hit and has always had a controversial critical reputation, the 1940 Disney film Fantasia has always cast a long shadow. The funniest and most delightful response to that classic is this Italian made production. Like Fantasia, this is a portmanteau of animated episodes set to classical music. 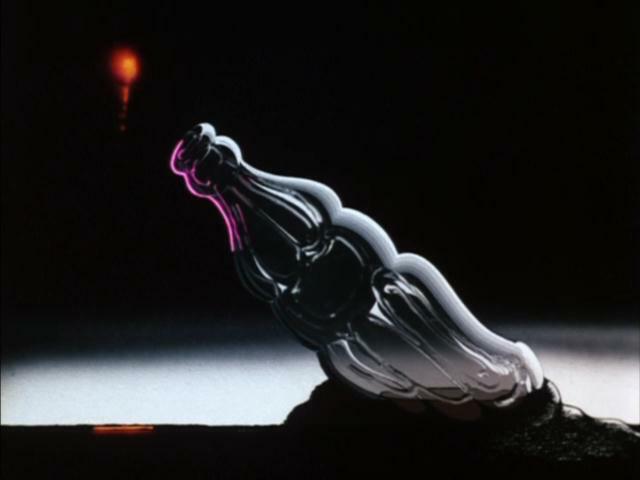 The episodes, all in color, range from slyly satirical and comedic to tragic and display a sophistication of concept foreign to the Disney film (Fantasia was attempting to “educate” the public about classical music). The opening, closing, and interim portions of the film are black and white segments supposedly showing how the director, animator, conductor, musicians and other personnel put the picture together, though it’s all played as lowish comedy. These scenes are funny enough in and of themselves, but viewer who has seen Fantasia and remembers the uber-serious way narrator/music critic Deems Taylor, conductor Leopold Stokowski and the musicians in that film were handled will really get the joke. Some films have very long gestations. The noted film critic/historian Lindsey Anderson broke into the world of making films with award winning documentaries before making his first feature film, 1963’s much acclaimed This Sporting Life, a great example of the British “kitchen sink” school. It was a big hit in the U.K and should have set Anderson up to be able to make whatever film he wished. Not quite, as it turned out. 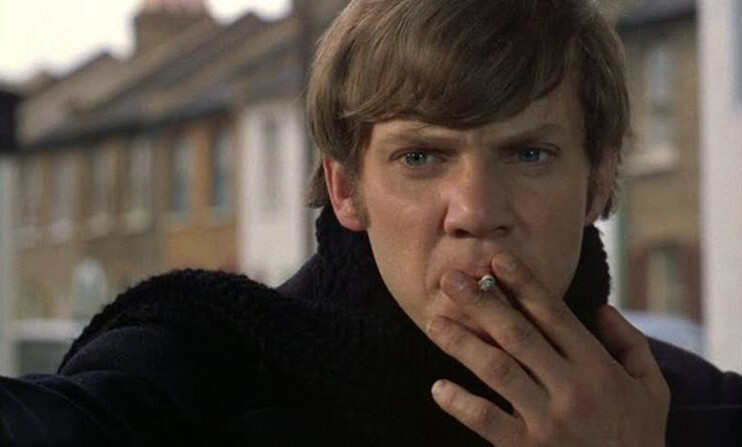 He helped to concoct a script about understandably dissatisfied schoolboys rebelling against their prison-like public school and, eventually society itself, and no one wanted to put up the money for it. By the late 60s, rebellion was truly in the air and he found some money, just not a lot. As it happened, he didn’t get quite enough to film the entire thing in color. Many would have just used black and white, though that medium had been unofficially declared dead in 1967. Since the film was to become progressively more surreal as it went along, the director realized that this mixing of stocks could add to the tone and texture of the film and he was right! Though he always said that there was no real symbolism to the alternating visuals, it contributes to the feeling of a world gone out of sync with old and new wildly at odds. The result was one of the great surreal films ever, certainly one of the key films of its age. Some films, on the other hand, just don’t have big budgets and have to make do. Director-writer Claude Leloach was having career troubles when he came up with the simple but quite potent idea of creating a film about a young widow and widower who meet while visiting their children’s boarding school and start to feel love, though haunted by the memories of their deceased spouses. It was so basic that no one much wanted to finance it. So the director shot as he could, using color for outdoor sequences and black and white for interiors and also used different stocks such as 35 and 16 mm. It should have been a mess but, if so, it was the most beloved mess in all of cinema history. Just as everything goes wrong on some films, this was one of those times when it all fell right. 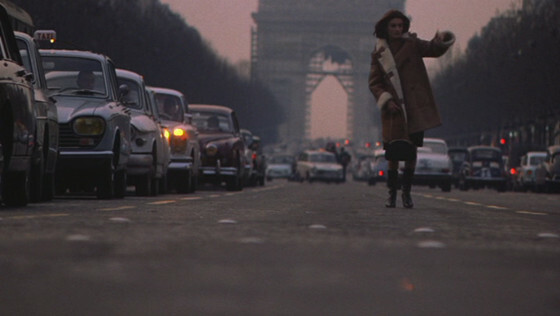 Yes, the casting of Jean-Louis Trintigtant and the luminous, Oscar nominated Anouk Amiee and the unforgettable score of Francis Lai (who would win an Oscar for saving the similar but excruciating Love Story four years later) contributed as well, but the romantic visuals were what cast the spell. This was one of the last times that beautifully rendered black and white could convey a romantically unreal world which only existed in the cinema. Bon voyage and thanks for the memories. Author Bio: Woodson Hughes is a long-time librarian and an even longer time student/fan of film,cinema and movies. He has supervised and been publicist for three different film socieities over the years. He is married to the lovely Natalie Holden-Hughes, his eternal inspiration and wife of nearly four years. You can visit his blog at Stream of Dreams.